It doesn’t matter if you like them arched and feathered or straight and bold, eyebrows are arguably the most important facial feature. If you’re not satisfied with the ones you have, there are so many ways to update them, including brow gel, pencils, and even tattooing. But now there’s a very natural option that delivers semi-permanent results. 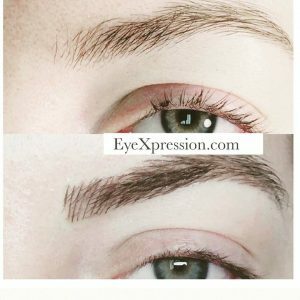 Ladies, we’d like to introduce you to MICROBLADING! MICROBLADING is a semi permanent technique using color pigment drawn onto the skin giving you natural looking eyebrows. The technique used is natural feathering of hair like strokes creating a beautifully designed brow. Is perfect for those who want to fully reconstruct, define, cover gaps, or fill-in over plucked brows. Sugaring, an ancient art of hair Removal. The pure, 100 percent natural sugar paste. Handmade Jewelry at Waxing Mania! The amazing art of SUGARING! Waxing tip of the week! © 2019 Waxing Mania. All Rights Reserved.